New research from the Universities of Bristol and Cambridge has found that BTB is most likely to be under control in both species taken in isolation. In the UK, a test-and-slaughter surveillance scheme forms the basis of BTB control, as well as badger vaccination and culling being trialled in select areas. Until now, studies have tended to focus in the disease in cattle or badgers, but not together. 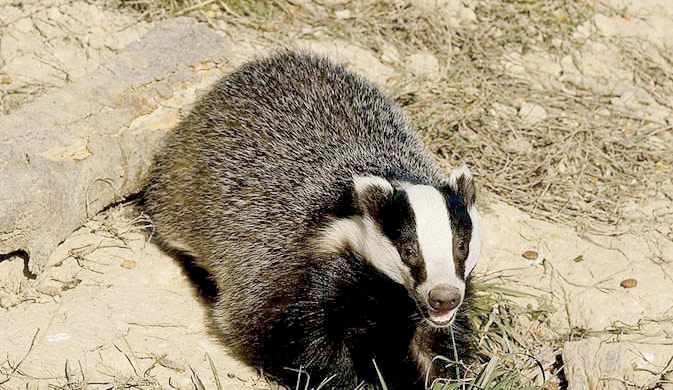 This work, published in Royal Society Proceedings B, demonstrates that feedback between cattle and badgers is critical for understanding and controlling BTB. Using mathematical modelling techniques combined with data from a range of sources including badger and cattle population data and BTB infection rates, researchers from Bristol’s School of Social and Community Medicine and Cambridge’s Department of Veterinary Medicine, were able to model the cycle of infection between cattle and badgers and predict the impact of BTB controls. The findings showed that while infection in both cattle and badgers is most likely nearly under control on their own, targeting badger-to-badger transmission has only had a modest impact on cattle infection. More effective strategies are reducing badger-to-cattle and cattle-to-cattle transmission.